Bar's Projects: Is Cutting a Boat in Half a Good Idea? 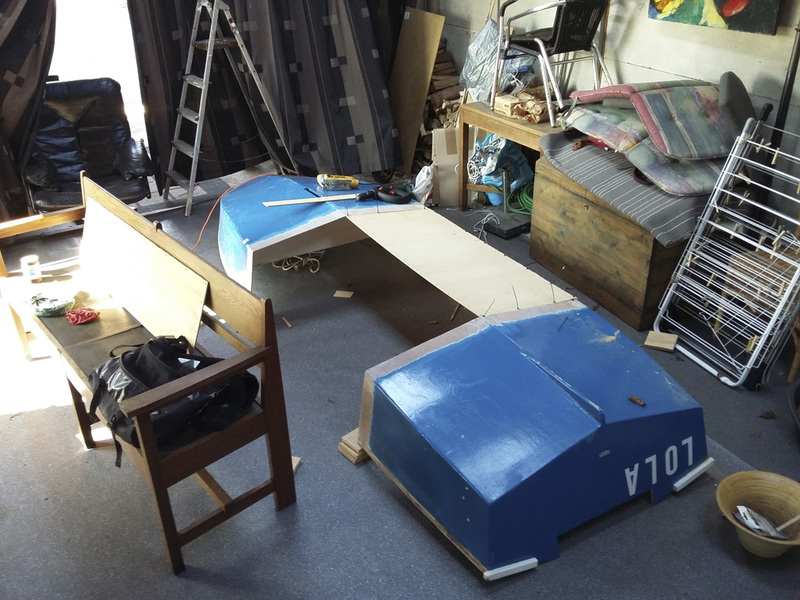 Is Cutting a Boat in Half a Good Idea? I built a small sailboat some years ago but it wasn't very usefeul. Cause it was too small for me. So I was thinking of building a new boat, from scratch. But then I thought, wait a minute, why not just make the boat I have a little bit bigger? 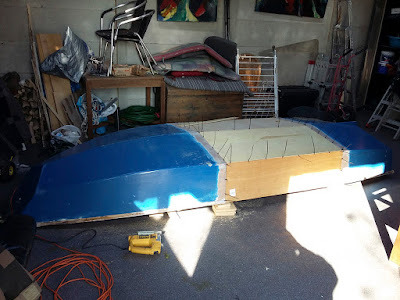 There's all sorts of issues with that idea but nevertheless I'm going to try it against better judgment :) Here's the start of that project, after I had cut the boat in half, using stitch and glue technique to extend the boat by 4 feet. You will see in this blog in the coming months wether this was a good idea or not.